The Aggregate Landscapes of Derbyshire and the Peak District Project is funded by Defra through the Aggregates Levy Sustainability Fund (ALSF) and delivered by English Heritage. The project has been undertaken by Derbyshire County Council (DCC), the Peak District National Park Authority (PDNPA) and Archaeological Research Services Ltd (ARS Ltd) with DCC as the lead partner. The HER Enhancement Project was concerned with enhancing and upgrading the historic environment records for the aggregate producing areas of Derbyshire and the Peak District. The HER enhancement component of the project was undertaken by a Project Officer from ARS Ltd, based at Derbyshire County Council. The project's start date was 14th May with enhancement work beginning on the 11th June 2007 and was completed by the 7th March 2008. The project has checked, corrected, refined and validated historic environment records which vary in date and type from Upper Palaeolithic findspots to 20th century lead mining remains. 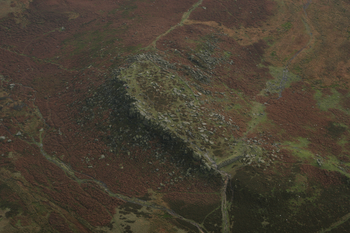 2977 records from 57 parishes within the Peak District National Park were enhanced.